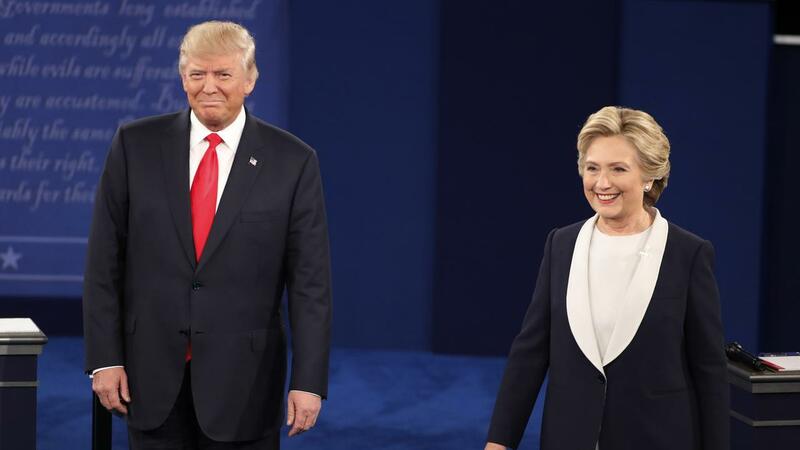 Calls for Donald Trump to be voted down by the Electoral College were roundly ignored on Monday – but one voter did become ‘faithless’ by not casting his ballot for Hillary Clinton. David Bright of Maine was supposed to back the Democratic loser but defied the wishes of the state’s voters and instead backed Bernie Sanders. In contrast, as the votes were cast in a series of states in the east, the mid-west and the south, nobody deserted Trump. That left a Harvard professor’s claims that as many as 20 Republican electors could go faithless looking like nonsense – and put Trump on cruise control for the White House. It also left protests by die-hard anti-Trump activists taking place outside some state houses and capitols looking ffutile. By 1.10pm eastern time Electors from Pennsylvania, North Carolina Ohio and Louisiana had given Republican Donald Trump 134 of the 270 electoral votes required to formally win the presidency. The total includes 20 votes from Pennsylvania, 18 from Ohio, 15 from North Carolina and eight from Louisiana. Democrat Hillary Clinton had 43 electoral votes, including 29 from her home state of New York. One of them was cast by her husband. She had won the national popular vote in the Nov. 8 election, and protesters rallied at state capitols around the country against Trump’s expected victory in the Electoral College Monday. That’s far more than the 270 electoral votes required to win the presidency – and with the day unfolding in his favor, a figure that he is certain to reach. He also took all 16 presidential electors in Georgia and eight in Kentucky, as well as electors in South Carolina, Oklahoma, West Virginia, Tennessee, Mississippi and Arkansas. But the only upset of the early part of the day was in Maine. ‘I cast my Electoral College vote for Bernie Sanders today to let those new voters who were inspired by him know that some of us did hear them, did listen to them, do respect them and understand their disappointment,’ he wrote. Clinton picked up two of the four votes in Maine, and Trump one – it is one of only two states which does not adopt a winner takes all system for the electoral college vote. Clinton also took Vermont’s three electoral votes, while Trump on Monday won votes in Arkansas, Mississippi, Oklahoma, Tennessee and West Virginia. In 11 presidential electors have cast their ballots for Republican Donald Trump, in accordance with state law. Vermont’s three members of the Electoral College were the first to report their vote for president. All three chose Democrat Hillary Clinton, reflecting the state’s vote in the Nov. 8 presidential election. In Pennsylvania, hundreds of demonstrators gathered on the steps of the Capitol building in Harrisburg were simply ignored in their attempt persuade the electors not to vote for Trump. The sign-waving protesters in 25-degree weather Monday were examples of demonstrations around the country against the Electoral College’s expected selection of Trump as the nation’s 45th president. Previous story Gambia election crisis: What next for Jammeh?